Valtro Airgun 92 - Shoot2 System - Price Cut Again! 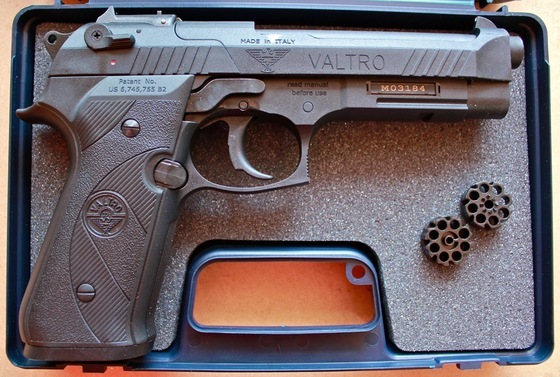 OK, this is getting stupid now, sure the Valtro Airgun 92 is selling at the already low price of $119 - That's $30 off the regular price but I want to take it up a notch and really sell a bunch of these well made Italian Beretta 92FS styled air pistols. So for a limited time you can get yourself this 14 shot, double CO2 .177 caliber pellet shooting single and double action pistol for $50 off the regular price! Don't kick yourself later for not doing it!